Vladimer Papava graduated Tbilisi State University (specialization Economic Cybernetics) in 1978 (Tbilisi, Georgia). 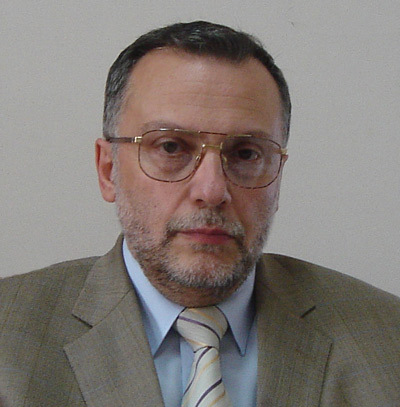 He received his Candidate of Science degree in Economics (PhD) from Central Economic-Mathematical Institute of the Academy of Sciences of the USSR in 1982 (Moscow, Russia) and his Doctor of Science degree in Economics from Tbilisi State University in 1989 (Tbilisi, Georgia) and Leningrad State University in 1990 (Saint-Petersburg, Russia). He is a Chief-Editor of the Proceedings of the Georgian Academy of Sciences – Economic Series, Member of the Editorial Boards of the Problems of Economic Transition (USA), the Central Asia and The Caucasus (Sweden), The Caucasus and Globalization (Sweden), and the Obshchestvo i ekonomika (Russia). From 1997 Vladimer Papava is a Corresponding Member of the National Academy of Sciences of Georgia. He is an Active Member of The International Academy of Sciences, Education, Industry and Arts (CA, USA), an Active Member The New York Academy of Sciences (NY, USA), an Active Member the International Informatization Academy (UN) and other international societies and associations. • Ismailov, Eldar; Vladimer Papava (2006). The Central Caucasus: Essays on Geopolitical Economy. Stockholm, Sweden: CA&CC Press. • Papava, Vladimer (2005). Necroeconomics: The Political Economy of Post-Communist Capitalism. New York: iUniverse. • Papava, Vladimer; Teimuraz Beridze (2005). Ocherki politicheskoi ekonomii postkommunisticheskogo kapitalizma (Essays on the Political Economy of Post-Communist Capitalism). Moscow: Delo i Service. • Central’nyi Kavkaz i ekonomika Gruzii (The Central Caucasus and the Economy of Georgia). Baku, “Nurlan,” 2004, with Teimuraz Beridze and Eldar Ismailov. (In Russian). • Papava, Vladimer; Vepkhia Chocheli (2003). Financial Globalization and Post- Communist Georgia. New York: iUniverse. • Splendours and Miseries of the IMF in Post-Communist Georgia. Laredo, wepublish. com, 2003. • Effertivnost obshchestvennogo proizvodstva i mezhotraslevye vodeli (Efficiency of Social Production in the Input-Output Models). Tbilisi, “Metsniereba,” 1988. (In Russian).